His enthusiasm reflects a confluence of somewhat surprising events. For the first time in decades, politicians across the political spectrum, including some who were once “get tough” true believers, are wondering aloud whether the drug war has become too expensive. The conservative Heritage Foundation issued a report on the eve of the midterm elections calling for a whopping $343 billion in federal budget cuts, including elimination of the Office of National Drug Control Policy (ONDCP) and the Justice Assistance Grant program (formerly known as the Byrne grant program), which has long provided the financial fuel that powers regional drug task forces and the drug war machine. At the state level, where the economic crisis has been felt most acutely, at least 18 legislatures have reduced or eliminated harsh mandatory minimum sentences, and more than two dozen have restored early-release programs and offered treatment instead of incarceration for some drug offenders. Could this be the beginning of the end of the drug war, a war that has reportedly cost more than $1 trillion in the past few decades, with little to show for it beyond millions who have been branded criminals and felons, ushered behind bars and then released into a permanent second-class status? More than 30 million people have been arrested since 1982, when President Reagan turned Nixon’s rhetorical “war against drugs” into a literal war against poor people of color. During the past few decades, African-American men, in particular, have been arrested at stunning rates, primarily for nonviolent, relatively minor drug offenses – despite data indicating that people of all races use and sell drugs at remarkably similar rates. In some states, 80 to 90 percent of all drug offenders admitted to prison have been African-American, and when released they find themselves ushered into a parallel universe where they are stripped of many of the rights supposedly won during the civil rights movement. People labeled felons are often denied the right to vote and legally discriminated against in employment, housing, access to education and public benefits – relegated to a second-class status for life simply because they were once caught with drugs. More than 30 million people have been arrested since 1982, when President Reagan turned Nixon’s rhetorical “war against drugs” into a literal war against poor people of color. Could the economic crisis finally put an end to this madness? Is the drug war machinery that produced a vast new racial undercaste finally winding down? At first blush, Piper’s optimism seems well-founded. Bipartisan zeal for budget cutting has coincided with the Obama administration’s expressed support for kinder, gentler drug policy. Obama’s drug czar, Gil Kerlikowske, told the Wall Street Journal last year that he would no longer refer to our nation’s drug policy as a “war on drugs” because “we’re not at war with people in this country.” Drug abuse ought to be viewed as a public health problem, he says, with more resources devoted to ensuring that fewer people suffer from addiction. That’s music to the ears of many criminal justice reformers, who have fought heroically for such reform in far less sympathetic political climates. Kerlikowske insists that the shift is not purely rhetorical, and in a certain respect he’s right. More money is being channeled into drug treatment. But here’s the rub: As the overall drug control budget continues to grow, the ratio between treatment and prevention (36 percent) and interdiction and enforcement (64 percent) remains the same as that found in the Bush administration budget in fiscal year 2009. Expenditures for “lock ‘em up” approaches continue to climb. Many well-intentioned advocates argue that the best way to push the Obama administration to move beyond kinder, gentler rhetoric to meaningful policy reform is by presenting drug law reform as a budget issue. Given the belt-tightening mood in Congress and the reluctance of the administration to show leadership on issues of race, the thinking goes, now is not the time to link drug law reform to a broader movement for racial justice. Ending our nation’s racial divisions and anxieties is pie in the sky, a utopian dream. Better to stick with cost-benefit analyses of drug treatment versus incarceration, and show the public that it’s cheaper to send a kid to college than to prison. The problem with that strategy is that it won’t work, even during a time of economic crisis. This moment of opportunity, which Piper rightly celebrates, will inevitably fail to produce large-scale change in the absence of a large-scale movement – one that seeks to dismantle not only the system of mass incarceration and the drug war apparatus but also the habits of mind that allow us to view poor people of color trapped in ghettos as “others,” unworthy of our collective care and concern. Why the pessimism? Two reasons. The first, and most obvious, is that the current economic crisis cuts both ways. The same fiscal concerns that have inspired a growing number of states to reconsider harsh and expensive mandatory minimum sentences have also inspired the Obama administration to increase funding for failed law enforcement initiatives, like the Community Oriented Policing Services (COPS) and the Byrne grant program – two programs the Bush administration had begun to phase out. According to Slate, Vice President Joe Biden once boasted that the COPS program, which put tens of thousands of officers on the streets, was responsible for the dramatic 15-year drop in violent crime that began in the early 1990s. But empirical studies proved that claim false. For example, a peer-reviewed study in the journal Criminology found that the COPS program, despite the hype and the cost – more than $8 billion – “had little or no effect on crime.” The Byrne grant program, originally devised by the Reagan administration to encourage state and local law enforcement agencies to join the drug war, has poured millions of dollars into drug task forces around the country that are notorious for racial profiling, including highway drug interdiction programs and neighborhood “stop and frisk” programs. These programs have successfully ushered millions of poor folks of color into a permanent undercaste – largely for engaging in the same types of minor drug crimes that go ignored in middle-class white communities and on college campuses. Despite the ineffectiveness of many of these federal programs, the temptation to revive them has proven irresistible. Putting more police officers on payroll and preventing layoffs seems politically savvy when unemployment figures remain high and key states are up for grabs. For those who might imagine that the 2009 stimulus package was an aberration, Obama’s proposed drug control budget for 2011 reveals that hard economic times are not translating into any scaling back of the drug war. John Carnevale, former director of planning and budget at the ONDCP, testified before a Congressional subcommittee charged with reviewing the 2011 drug control budget in April that “with the arrival of the Obama administration came the hope that a new budget would emerge that would redress the failures of the past”; but instead the new budget looks much like the old one. If you doubt that’s the case, consider what is at stake. If we were to return to the rates of incarceration our nation had in the 1970s – a time, by the way, when many civil rights advocates thought incarceration rates were egregiously high – we would need to release four out of five people currently behind bars. More than a million people employed by the criminal justice system could lose their jobs. Most new prison construction has occurred in predominantly white, rural communities already teetering on the edge of economic collapse. Those prisons across America would have to close. Private prison companies and all the corporate interests that profit from caging human beings would be forced to watch their earnings vanish. Clearly, any attempt to downsize our nation’s prisons dramatically would be met with fierce resistance by those faced with losing jobs, investments and other benefits. The emotion and high anxiety would almost certainly express itself in the form of a racially charged debate about values, morals and personal responsibility rather than a debate about the prison economy. Few people would openly argue that we should lock up millions of poor people just so other people can have jobs or get a good return on their private investments. Instead, familiar arguments would likely resurface about the need to be “tough” on “them” – a group of people defined in the media and political discourse not so subtly as Black and Brown. As history has shown, the prevalence of powerful (unchallenged) racial stereotypes about the undeserving “others,” together with widespread apprehension regarding major structural changes, would create an environment in which implicit racial appeals could be employed, yet again, with great success. Even if significant reforms can be won in the midst of an economic crisis without addressing our nation’s racial divisions and anxieties, such gains will likely prove temporary. If a new, more just and compassionate public consensus about poor people of color is not forged, we as a nation will not hesitate to sweep them up en masse for minor drug crimes as soon as we can afford once again to do so. Similarly, if and when crime rates rise, nothing will deter politicians from making Black and Brown criminals once again their favorite whipping boys. The criminalization and demonization of Black men is one habit that America seems unlikely to break without addressing head-on the racial dynamics that have given rise to our latest caste system. Although colorblind cost-benefit approaches often seem pragmatic in the short run, in the long run they are counterproductive. They leave intact the racial attitudes, stereotypes and anxieties that gave rise to the system in the first place. The problem lies in the nature of the system itself, not the cost. And the only way to dismantle the system is by building a broad coalition of Americans unwilling to accept it at any price. 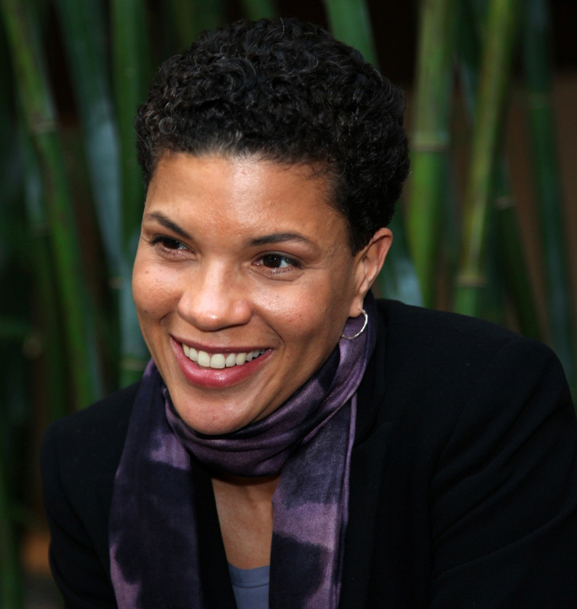 Michelle Alexander is the author of “The New Jim Crow: Mass Incarceration in the Age of Colorblindness” (The New Press, 2010). The former director of the Racial Justice Project of the ACLU in Northern California, she also served as a law clerk to Justice Harry Blackmun on the U.S. Supreme Court. Currently, she holds a joint appointment with the Kirwan Institute for the Study of Race and Ethnicity and the Moritz College of Law at Ohio State University. To listen to a TomCast audio interview in which Alexander explains how she came to realize that this country was bringing Jim Crow into the Age of Obama, click here. © Copyright 2010 Michelle Alexander. This story is reprinted with permission from The Nation. 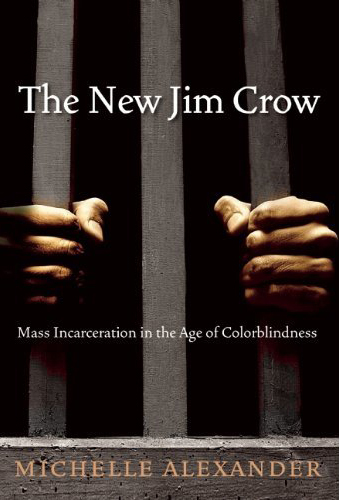 "The New Jim Crow and Slavery" and "Another Name" have brought the kind of enlightenment to America's Criminal Justice System that Dr. Martin Luther Kings March on Washington brought to the Civil Rights Movement…if only our People and our National Political Leaders would READ!! !